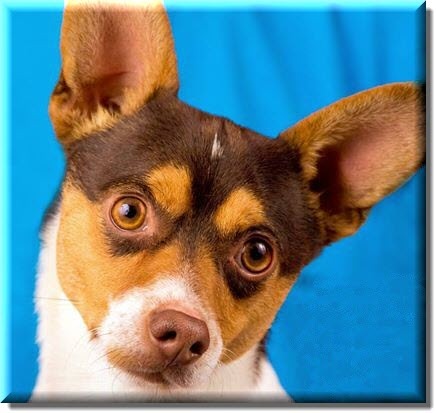 Tyrion arrived in February 2015 after spending 4 months in a shelter enclosure, and is likely a chihuahua/fox terrier mix. He was born in 2013. He is extremely fearful of new people, but he is becoming more trusting with every passing week. He is a ball of energy, and he's full of love once he gets to know you. He's a little overly possessive of his food, but we're working on that.